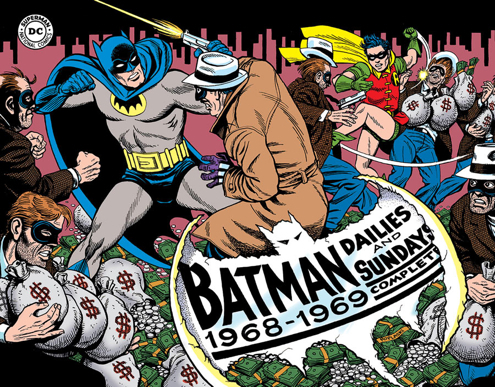 We’re running 13 days of Batman strips from Batman: The Silver Age of Newspaper Comics Vol. 2 — out now from IDW, the Library of American Comics (and DC)! These are never-before-reprinted Batman daily and Sunday newspaper strips from the 1960s! 13 days of vintage Dynamic Duo! For yesterday’s chapter, click here! Batman ™ and © 2015 DC Comics. Wanna know more about this blast of a book? Click here! Meanwhile, tune in tomorrow — Same Bat-time, same Bat-Website! Volume 2 cover by Pete Poplaski: Batman ™ and © 2015 DC Comics.